Are you organising an away day or teambuilding event for your company? Whether the aim is for your department to get to know one another better, to boost tem motivation or corporate communication, there are many wonderful venues that offer fantastic teambuilding opportunities. At Function Fixers, we have a vast database of corporate and teambuilding venues in London and beyond, as well as decades of experience to find the best venue for you. Why not contact us today to share your requirements and let us be your boots on the ground? In the meantime, here are 5 amazing venues for you to consider. 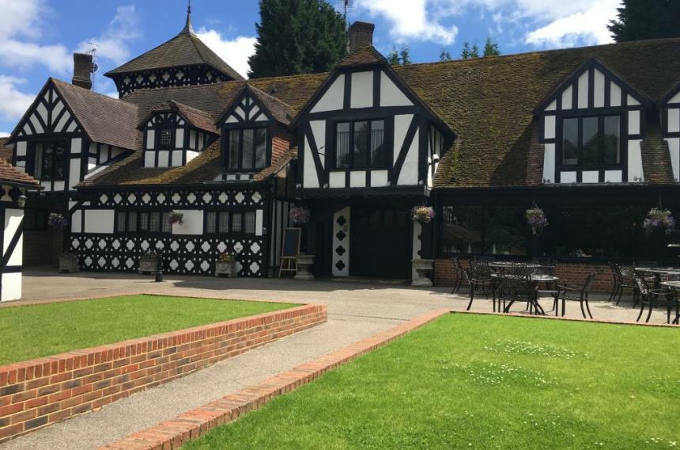 A beautiful mock Tudor hotel set in lush Kent countryside, Hever Hotel is the perfect location for both business and leisure pursuits. Originally the farm serving Hever Castle, the childhood home of Anne Boleyn, the stables and cottages now form a most charming and individual hotel complex. Hever Hotel is ideal for residential meetings and conferences, offering luxurious accommodation and versatile event space. Up to 120 delegates can be accommodated theatre style for meetings and lectures in 5 executive boardrooms and 4 large event suites. In addition, there’s an outdoor tennis court, a fitness centre and sauna, as well as complimentary bike rental for exploring the area. The historic Hever Castle, Chartwell House (home of Winston Churchill) and Hever Golf Club are all within close proximity. Strategically located within easy reach of the M25, there’s plenty of on-site parking, as well as a nearby railway station for trains into London Charing Cross. A large complex comprising the Waterfront Hotel, the Executive Centre and the Training Centre, Wyboston Lakes is set in 380 acres of countryside just of the A1 in Bedfordshire. The beautiful 4 star hotel has extensive facilities, including a spa and golf course. There’s an on-site Training Centre that offers a wonderful learning environment for delegates, with 36 fully equipped meeting and conference rooms catering for 8-300 people. 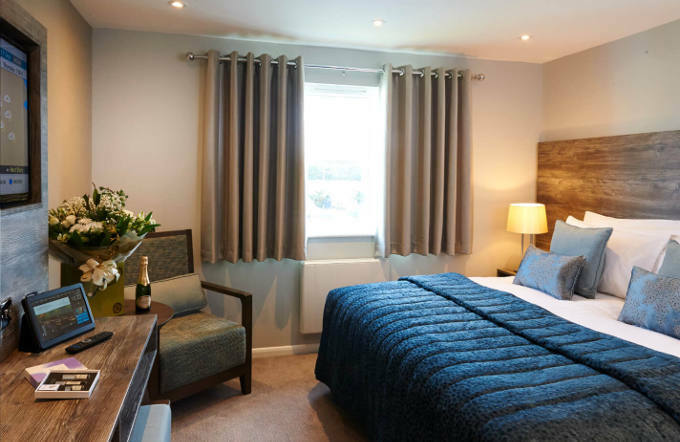 For residential training courses, there are 183 luxury en-suite study bedrooms and The Willows restaurant serving homemade seasonal food. The Executive Centre is a separate flexible events venue for conferences, exhibitions, teambuilding and away days. There are 25 high ceilinged meeting rooms with ergonomic seating, air conditioning and sound proofing and plenty of natural light. 2 large conference rooms have removable partitions to create one large space, and AV support is provided where requested. Accommodation comprises 120 en-suite study bedrooms with all mod cons. For teambuilding with a fun element, how about going bowling? 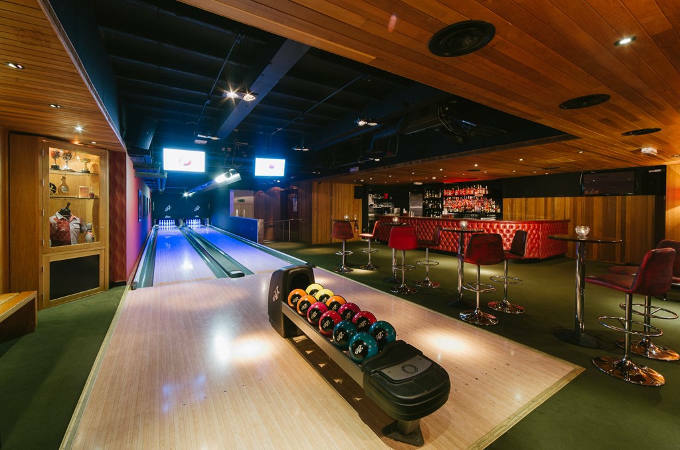 All Star Lanes in Central London describes itself as ‘the spiritual home of boutique bowling’. The private Club House at Holborn can cater for 80 people, with 2 private bowling lanes, a cocktail bar (complete with dedicated mixologist) and homemade American fare. Conference and Away Day packages are available, with private fully kitted out daytime meeting room facilities seating up to 40 delegates, including bespoke food/drinks and bowling options for you and your team. Set in the rural idyll of the North Wessex Downs AONB in West Berkshire, Sheepdrove is a unique and original venue. It’s a working organic 2,500 acre farm with onsite accommodation for up to 18 people in converted farm buildings with a woodburner. Purpose built to an exceptionally high environmental standard, the Conference Centre has a number of versatile rooms for all kinds of corporate events, business meetings and conferences, training days and more. The Eco Conference Centre and farm are also a great venue for agricultural companies or vehicle manufacturers that need large amounts of flexible space for exhibitions and product launches. When it comes to catering, your delegates can enjoy the 100% organic farm-to-fork experience. There are plenty of opportunity for teambuilding activities in and around the farm and its inspiring outdoor spaces, including the Lake and Boathouse, and the aromatic Physic Garden, and bespoke packages are available. Located in the heart of the Midlands, just 5 minutes from the M42 and M6, the SnowDome is a place where business and pleasure come together seamlessly. As a business venue, there’s a variety of flexible meeting rooms and breakout areas catering for a maximum of 200 delegates where you can host networking seminars, product launches, formal training events and much more. 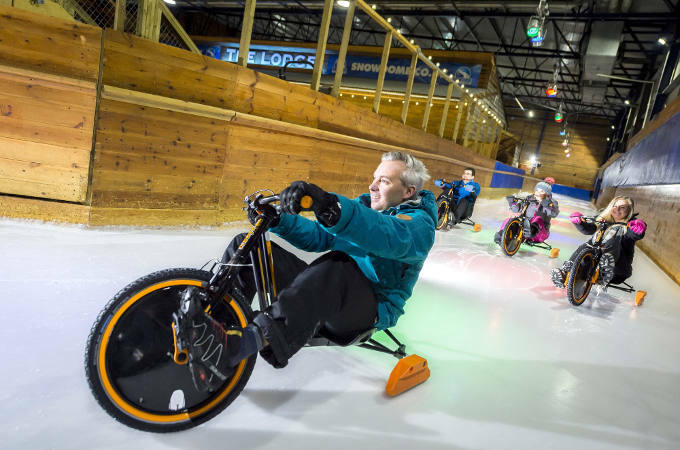 Teambuilding activities centre around the fantastic ski and snowboarding facilities available and can include tobogganing, human ice curling, ice trike racing, adrenaline tubing and snow sculpture sessions. There’s a luxurious spa to relax in at the end of a fun and exhausting day. For an amazing and memorable teambuilding day with a difference, the SnowDome may be just what you’re looking for.